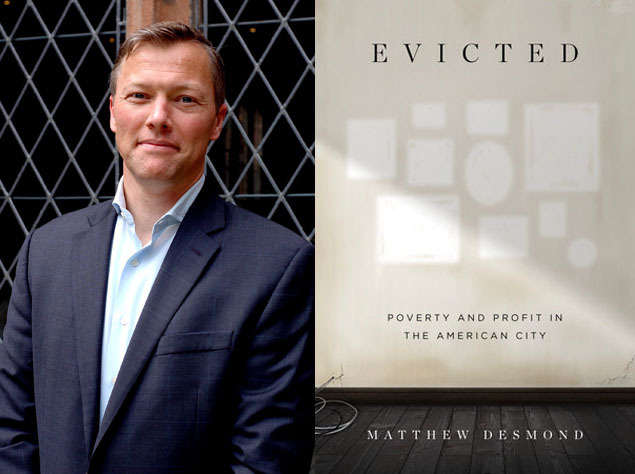 Arlington Reads: Matthew Desmond, Author of "Evicted"
Matthew Desmond, a Princeton sociologist and MacArthur "Genius,” is the 2017 Pulitzer Prize-winning author of “Evicted: Poverty and Profit in the American City” (2016). Desmond takes readers into the poorest neighborhoods of Milwaukee and tells the stories of eight families who struggle to keep a roof over their heads as they face extreme poverty, eviction and economic exploitation. The fates of these families are in the hands of two landlords: Sherrena Tarver, a former schoolteacher turned inner-city entrepreneur, and Tobin Charney, who runs one of the worst trailer parks in Milwaukee. In vivid, intimate prose, Desmond provides a ground-level view of one of the most urgent issues facing America today.